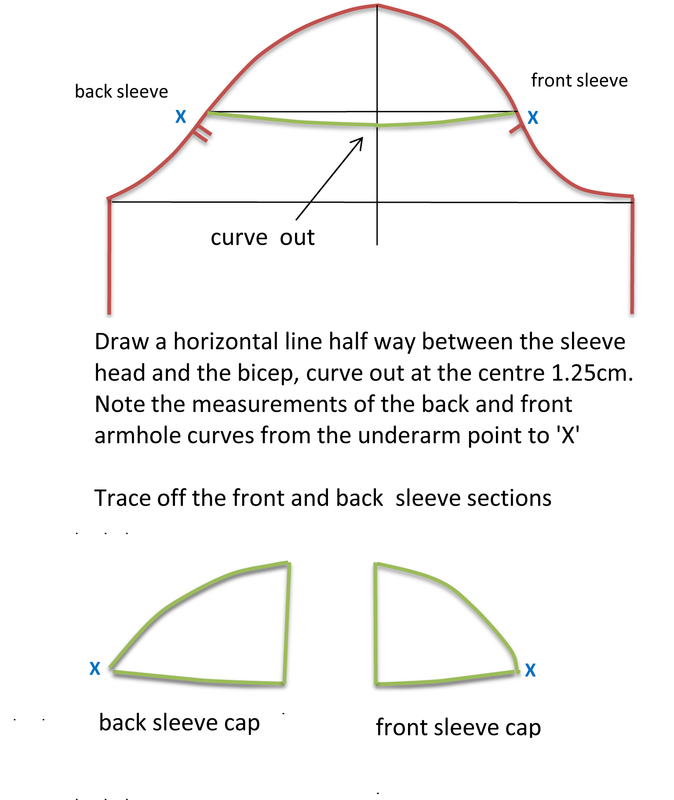 Drafting The Cap Sleeve Bodice | cut it out, stitch it up! 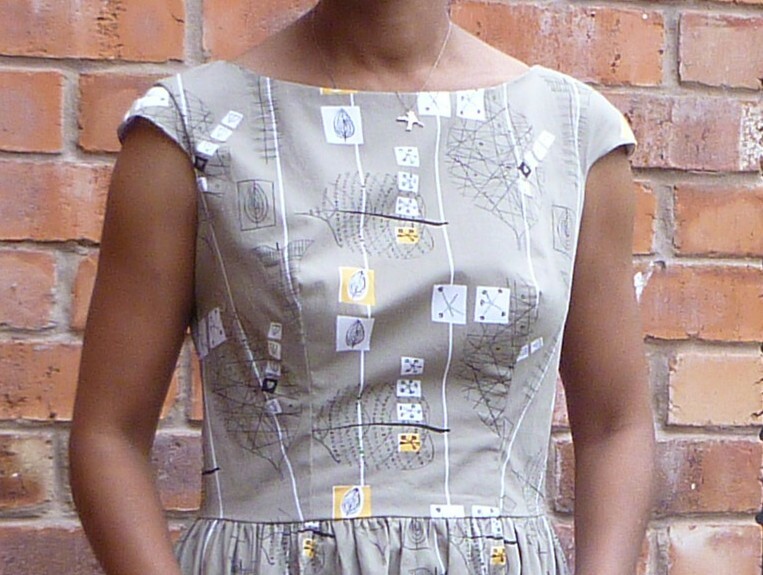 To draft the pattern for the Lucienne Day cap sleeve dress I made last month I started with the basic bodice and sleeve block. 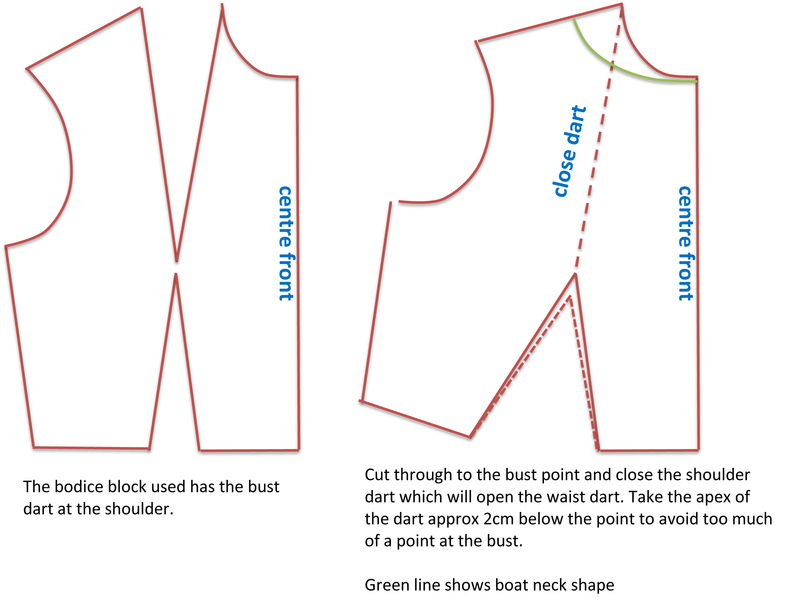 I have drafted my own from the Winifred Aldrich Metric Pattern Cutting book but blocks in standard sizes are available to buy either as actual patterns or downloads. I haven’t used these myself but I have seen these Laura Marsh blocks recommended. I lined the bodice which used exactly the same pattern as the main body. The skirt of the dress was a rectangle cut the full width of the fabric. Hope the diagrams are clear! This is so useful. I love the cap sleeve and especially boat neck. I’m just starting to draft patterns and definitely think i could use this so thank you. Thanks for letting me know it’s useful for you. 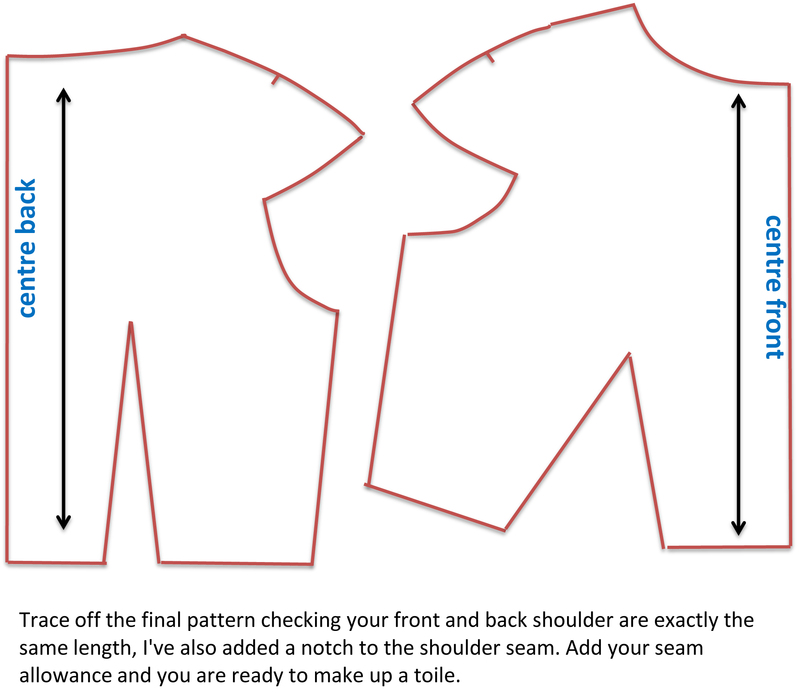 Good luck with your pattern drafting, there are some great books and info online to help you along the way. Thanks, for me I find this style really flattering. All very clear and very informative, thanks for posting. It really is a fabulous dress, I hope you enjoyed wearing it on your hols! Thanks! It’s had a couple of wears now and it’s really comfortable. Takes a bit of ironing though! The dress is lovely! Aren’t you clever making your own “cap”. Thanks, I love wearing it. I used to do a lot more pattern cutting so I’m trying to get back into it. The diagrams are very clear 🙂 Your dress looks very comfortable and cotton is great for a summer dress . Thanks! I wish I was quicker with the diagram side of things as I was putting off posting as I knew it would take an age…. Your pattern cutting is great, and you look lovely in this shape of dress. Best of all are the diagrams – I can’t believe you did that with Excel! 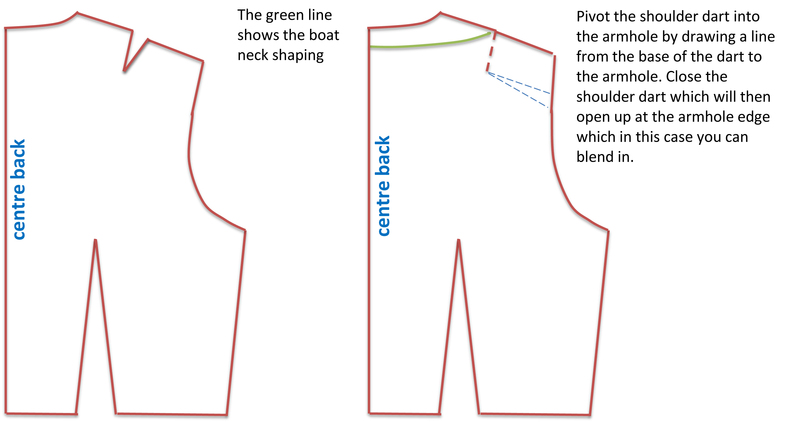 I am just in awe of the way younger seamstresses seem so at ease with the technology – I have tried to learn Illustrator, but I find it such hard work. Thanks – I studied pattern cutting but it’s so long ago now I feel I have some limitations and don’t try anything too complicated. I use illustrator at work but don’t have it on my pc at home. I’m at a basic level with it! 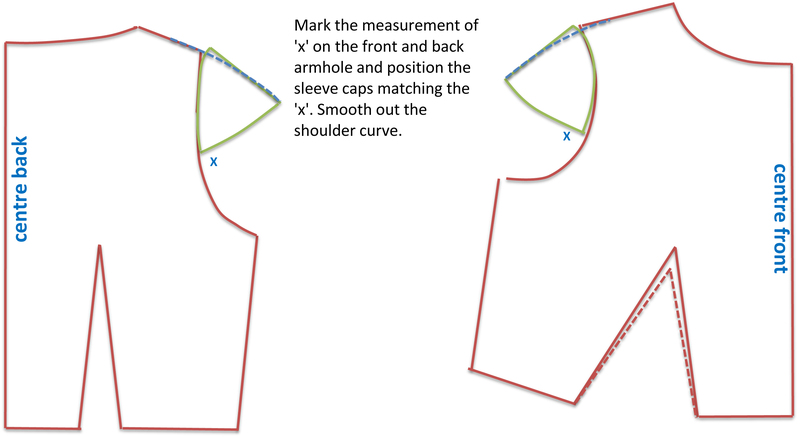 I think what I did in excel was to find a picture of a bodice block then ‘trace’ over it with the line tools in excel – it worked out OK.
Also having just done cap sleeves and dropped shoulders at college I have been told what you have created here is a “drop shoulder” whereas a cap sleeve is just an extended shape, created without a sleeve block. Whatever! The effect is lovely either way. OK! I know what you mean now, I’ve just consulted my Winifred Aldrich and I stand corrected. It’s quite strange as this post gets a crazy amount of views – all under a misleading title!